Maxine Bédat is the co-founder of Zady, an e-commerce platform and lifestyle destination for conscious consumers that believe in products with solid construction, the best materials, the lowest environmental footprint, the highest labor standards and timeless style. 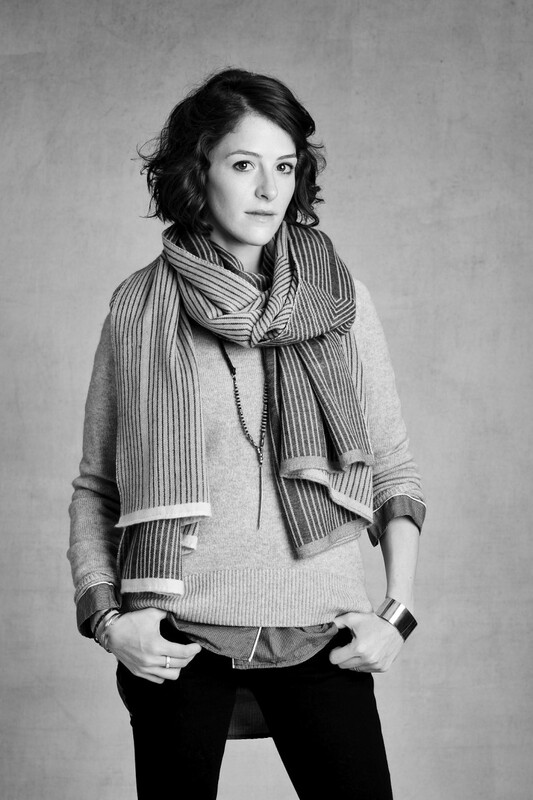 We talked to Maxine about how and why Zady started, growing up amidst the fast fashion craze, and the impact that this kind of manufacturing has had on people and the planet. Why did you choose to start Zady? We grew up in the “fast fashion generation”. We had closets overflowing with clothing, but a feeling that we had nothing to wear. We were exhausted by it all. So we began to look at the tags and try to figure out just exactly what our clothing was, which led us to also ask who was responsible for making all of it. After digging into it we saw this whole system that had been created just to get us to buy, buy, buy without any thought. Our way to be activists around this was to create an alternative. We started by going to tradeshows and asking the simple question to thousands of brands, “Where are your products made?” The reactions we got were just crazy. People would say, “I don’t know”, “The Far East”, “Asia” even “The Orient.” It was clear they had no idea. But maybe one out of every 100 companies, when we asked the question, their eyes would light up, thrilled at being asked the question and they would deep dive into the art of the process. We brought those brands together and helped tell their story. That was the first stage. This past winter, we set out the challenge of creating a product that was sustainable not just in part of the supply chain, but throughout the entire supply chain. No company was doing this, so it was an enormous challenge. But we did it. We launched our first product a wool sweater made sustainably from the ranch, washhouse, spinners, dyers and knitters, we did it all sustainably, with the best materials and all done right here in the U.S.
What was your experience with clothing when you were growing up? It was a very typical upbringing with regard to clothing. I remember taking a visit to New York when H&M first opened, at the time I thought I’d reached heaven! It took a decade of living with that stuff to figure out why none of it every looked great and why it wasn’t adding any value. Meanwhile, while I grew up with Gap and H&M, I saw my mother who was always stunningly dressed, whose favorite thing to say when someone complimented her clothing was, “Oh this? I have had it for decades.” I guess it just took me a while to realize that she looked so good, because she chose quality and timelessness over cheap trends. How have you seen way clothing is produced and consumed changed over the last few decades? There has been a radical change in how we consume clothing. We consume 400% more clothing than we did even 20 years ago. At the same time we’re spending less money than ever on the most clothing we’ve ever had. This has been done by fast fashion companies cutting corners, using cheap material, constructing a cheap product, and using cheap labor. What impact has this change had on people and the planet? The fast fashion model that has emerged in the past two decades is based on producing the lowest cost product possible. Human labor has always been the greatest cost of production, to create these disposable prices these companies have created a raise to the bottom searching the globe for ever cheaper labor. To cut corners on the production of the material, fast fashion companies are producing the material by the cheapest means possible which translates to working in countries with little environmental regulation. They are, in essence, outsourcing the true cost of the apparel to those countries desperate enough to take them. As a result of all this, the apparel sector is the second most polluting industry in the world and a major contributor to slave labor. The fashion industry operates all over the world. What concerns do you have about the current models and trends? This current model is completely and entirely unsustainable and it’s not even making us feel good as consumers. The only players in the system that this is helping is the fast fashion executives who are some of the richest people in the world. What does the term ‘fast-fashion’ mean to you? Fast fashion is an approach to design, production and consumption based on creating the cheapest quality at the cheapest cost and pushing consumers to believe that their clothing is disposable. Slow Fashion is an approach to design, production and consumption that focuses on the highest quality material, an understanding of the environment, timeless design and creating a product that the consumer can feel great wearing for years to come. What is your design and manufacture process for the Zady Essential line? We start by thinking about how we get dressed every morning. We think about what we’re doing during the day and we design around that. We’re creating an evolving collection that will make sense both at work and at home. With this in mind we think about what fiber or combinations of fibers makes the most sense for each piece. Synthetics are not part of our vocabulary, we work with only natural material: cotton, wool, alpaca, silk and linen. Then we partner with the producers making these fibers with integrity. We work with them to create the best product with the lowest environmental footprint. Once we have the material we design for that material. We create one piece at a time, we don’t rush things so that every seam is considered. We exist in a world where 61% of clothing companies don’t even know where their garments were made. 76% don’t know where their fabric was woven, knitted or dyed, and 93% don’t know the origins of the raw fibre, so you can see that while we find it quite basic to have this type of understanding, it’s a completely different way of doing business. Knowing the source is the only way to create a product with integrity. How has starting Zady changed the way you purchase clothes? Before I never really understood how I could have so much clothing and nothing to wear. Through Zady I realized that it was because the industry, the fast fashion industry in particular, pushed me to buy crazy trendy items, but the problem is crazy trendy items from one season purposefully look terrible with the items manufactured for the next and that was why while I had so much stuff, none of it looked good together. Now when I make a purchase, I’m very conscious of how the product feels and how it fits. I buy products not for how they look in the advertisement, but how they look on me and how I think they will fit with the rest of my wardrobe. As a result of this change, getting dressed is so much easier in the morning and I’d like to think that my taste level has improved in the process. What kind of changes do you see beginning in the mindset of consumers? Like me, I see consumers having this same breakthrough. They are seeing that the industry is duping them into buying things that ultimately don’t make them feel or look good. What is the one thing you would like someone to think about when they buy an item of clothing? As a consumer you have enormous power. When you make a purchase you are taking a stand, making a vote for what you believe in. We have the power to make fast fashion just a momentary blip in fashion history. That to me is incredibly exciting.